Severe chronic lung fibrous changes with marked thickening of intralobular interstitium, bullous emphysema, honeycombing. 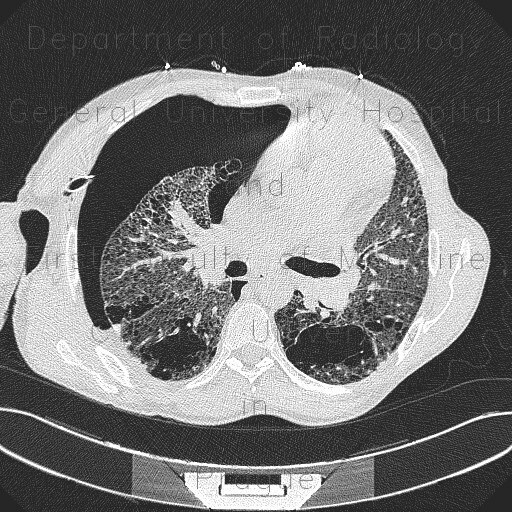 Shift of mediastinum to the right. Chest tube.